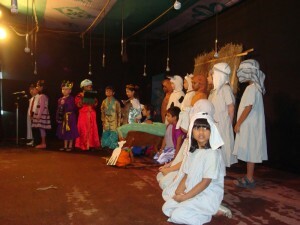 Are You Looking for a Children’s Nativity Script? The nativity script lasts around 25 minutes and is written entirely in rhyme, including the narration and all of the speaking parts, a proven way to make the script easier to remember. Click here to read testimonials specifically relating to this script. The script is all held together with a rhyming narration which therefore makes last minute changes much easier to accommodate. If you’re ready to buy the CHILDRENS NATIVITY STORY, click on the ADD TO CART button below, or continue reading if you need more details. a cast of between 5 and 90 (according to the customers who have already used it) The script, if used exactly as written, includes 18 speaking parts, plus a narrator with 63 lines and angels to dance and sing. Narrator, 2 roman soldiers, Mary, Joseph, Donkey, shepherd 1, shepherd 2, shepherd 3, Angel Gabriel, innkeepers 1, 2, and 3, , innkeeper’s wife 3, innkeeper 4, star, kings 1, king 2, king 3, plus angels. My own expectation would be that a minimum cast of 10 would be preferable, although the smallest cast to date to use the script (to my knowledge) is 5! The aim of all of my scripts is to be adaptable and flexible such that anyone is able to put on a nativity play, so cast size need not be an issue: just be inventive and, if all else fails, email me for some advice. All of the songs for the Children’s Nativity story play use familiar children’s tunes with very SIMPLE SONG WORDS to help to minimise rehearsals . If you choose to include the “The Nativity Roll Call Poem” allow up to 2 minutes, but recognise that this poem is different in length dependant on how many of your cast stand and say their line and how speedily and efficiently they do so! The poem gives everyone in the cast the opportunity to bow and respond at the relevant point. If you choose to use the poem “The Full Christmas Story” to round off the play allow another minute. If the script is used exactly as written, no individual has a large amount to learn (I aim to give everyone just a couple of rhyming lines each). Naturally Mary and Joseph have individual lines at different points in the play but generally speaking everyone else has just one particular scene, making it easy for scenes to practised individually without the need for full rehearsals. If you choose to use the songs, they are deliberately easy to remember as the words are simple and repetitive, but they can be practised without a pianist by using the mp3 backing tracks provided. The Children’s Nativity Story sticks to a fun, relaxed biblical retelling of the birth of Jesus without any specific message other than a simple celebration of the story. The “Full Christmas Story” poem is offered as an additional optional ending to the play and goes on to link the nativity story with the ongoing life and death of Jesus, acknowledging that Christmas is all about God expressing His love for us through Jesus and His choice to come to earth as a man, and to recognise that Jesus is God’s gift to us. If you’re ready to buy the Children’s Nativity Story, click on the ADD TO CART button below, or continue reading if you need more details. 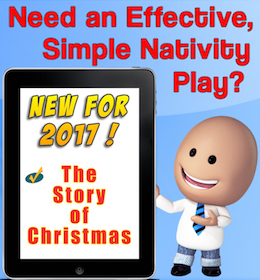 I pride myself in making my scripts the best value for money around, so my Children’s Nativity Story, including sheet music and FREE music mp3 files, can be downloaded instantly to your computer for the special low price of just £9.95. 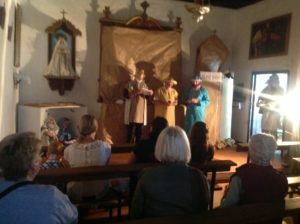 A “Nativity Roll Call” performance poem and message to the audience : a fabulous and unique finale for any traditional nativity play (not just this one). Again, all in rhyme, this gives everyone involved the opportunity to take a bow as they say their own individual line. This has been so well received that I now write one for every script. 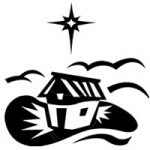 The “Full Christmas Story” : A purpose written Christmas rhyming poem which can, if you choose, be read out to round up the message at the end of your nativity play. 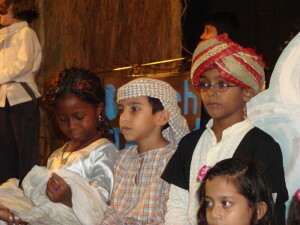 Grab your LICENCE FREE COPY of the Children’s Nativity Story script at the ……. Still prefer The Children’s Nativity Story?